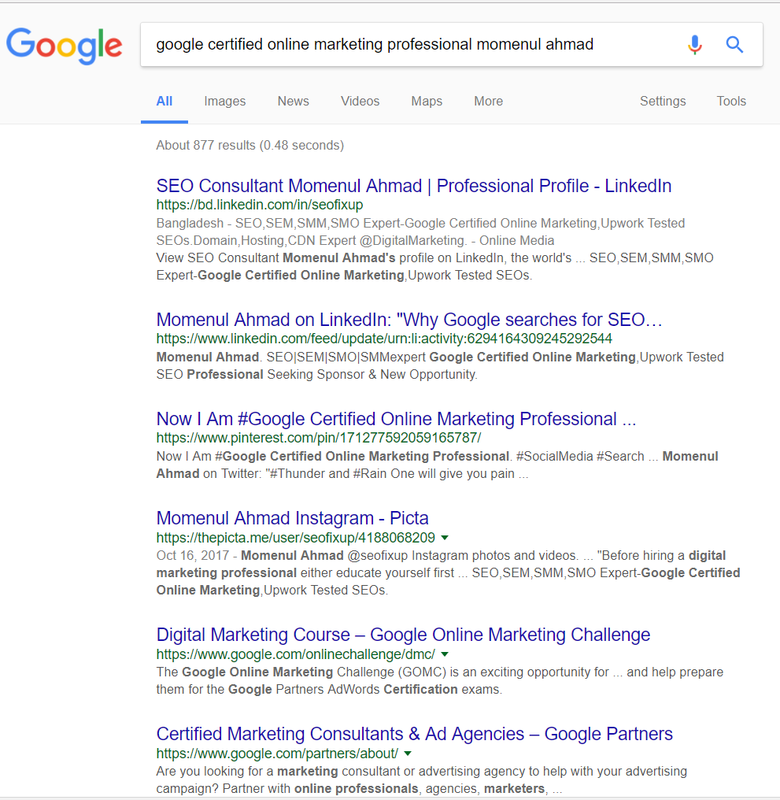 A name who strategically love SEO, SEO strategist and Online Marketer Momenul Ahmad's Expertise are Online Marketing (digital marketing), Webmasters and Web Dev,Domain Name Registration, Domain Hosting,Web Design,Social Media Optimization, Social Media Marketing relevant tasks. He is Bangladeshi by national and He used to, also called by well known person's of Digital Marketing and Advertising industries that Momenul Ahmad, He himself has proved as an international SEO Consultant,SEO Strategist, SEO Specialist and all of his SEO work score variation is 90 to 100. Here is Why I am Momenul Ahmad WWW national? I am on WWW world since 2009 and from the time being am journeying ,learning,enriching,implementing and helping business to grow and assuring their business presences in digitally by giving the best achievement and from trending achievement . In a sense though Momenul Ahmad Banglaldeshi by national but in a sense of mentally He is WWW national. 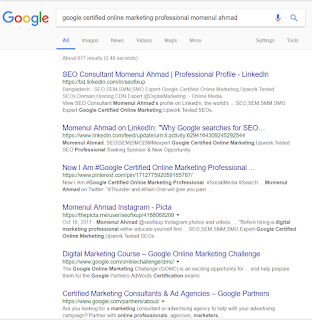 As a SEOs (SEO),Webmaster,Web Devs and Online Marketing(Digital Marketing) Professional Momenul Ahmad is Google Certified Online Marketing Professional Momenul Ahmad , to see details fixed your eyes on below image or go through Upwork tested SEO professional. Technical: SEO which is my passion and along with I love to play with Search Engine,CMS,CRM,SM,Content Writing,Re-writing,Keywords Researches,Community, Forum, Group, Blogging,YouTube also I love to calculate ROI and like to analysis data with Google Analytics and always look up on CMS integrated analytical tools which help me to gain leads. I am skilled with major search engine webmaster portal Google, Bing, Yahoo, Yandex , DuckDuckGo. I love digital trend, I live with digital trend.Personal: Punctual, Sincere, Honest, Win-Win in attitude and Sacrifice Minded Folks. Ethic: Believe in quality tasks, Not in quantity tasks. Restless SEO Professional ( International & Local SEO with On Page & Off Page ),Digital Manager ,Social Media Manager ,Brand Promoter ,Web Site Admin,,Account Manager,Customer Care.I am capable to Handel:* Content management for Social media. * SEO (search engine optimization) and generation of inbound traffic* Amazon, JD.com, Macy's, Walmart & Alibaba, Priceline, Ebay, Otto group and Rakuten Marketer. * Identify and improve organizational development aspects that would improve content* Create a regular publishing schedule. * Implement a content editorial calendar to manage content and plan specific, timely marketing campaigns. * Promote content through social advertising* Develop relevant content topics to reach the companys target customers. * Set benchmarks, best practice and goals to Monitor, listen and respond to users in a Social way while cultivating leads and sales. * Develop and expand community and/or influencer outreach efforts. * Oversee design (i.e.Facebook Timeline cover, profile picture, thumbnails, ads, landing pages, Twitter,LinkedIn,Pinterest,Instagram,Quora ,Google+ profile, Blog, etc.). * Design, create and manage CRM (if support) promotions and Social ad campaigns. * Manage efforts in building online reviews and reputation. * Analyze key CRM and SM metrics and tweak strategy as needed. * Compile reports for management showing results (ROI).Contact Me & let's Deal . 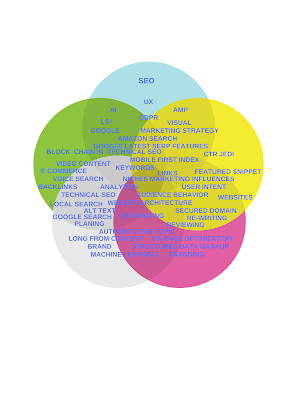 By patient I am SEOs (SEO),Webmaster,Web Devs and Online Marketing(Digital Marketing) Professional . How to integrate submit a link to Digg button?